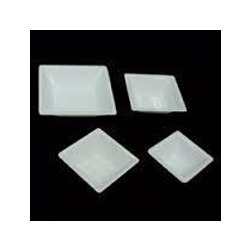 We are leading manufacturer and supplier Acrylic Crockery. We bring forth a range of high quality Acrylic Square Fruit Bowl that finds wide application in residential as well as commercial arena to serve a meal. Elegant in looks, these bowls are crafted from superior grade raw material, which gets processed via advanced technology. Further, these bowls are resistant to scratch and cracks and can be the members of your kitchen at low expenses. 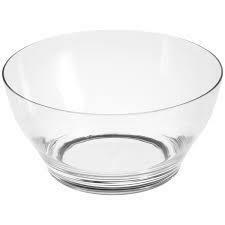 We are one of the well-known manufacturers and suppliers of Acrylic Serving Bowl. 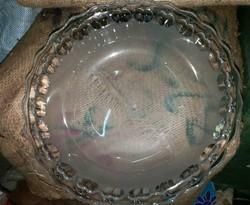 The offered acrylic serving bowl is commonly used for serving food items such as rice and dal. Our supplied acrylic serving bowl is made from superior grade acrylic polymer for ensuring longer serviceability and durability. We are one of the widely acclaimed manufacturers and suppliers of Acrylic Oval Bowl. 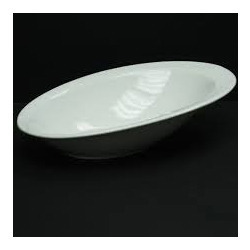 The offered Acrylic Oval Bowl is very commonly used for serving soups and semi liquid food. 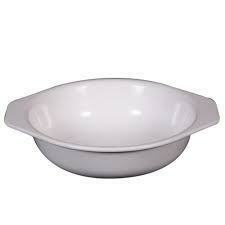 Our supplied oval bowl is accurately sized and shaped. The offered oval bowl is easy to wash and clean by using tap water and dish bar. 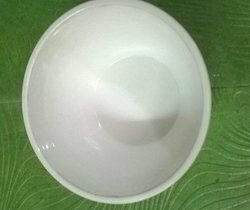 Our supplied oval bowl is very affordable. We feel proud to introduce ourselves as the well-known manufacturer and supplier of Acrylic Rice Bowl. The offered acrylic rice bowl is a unique fabrication for serving rice in homes, hotels and restaurants. 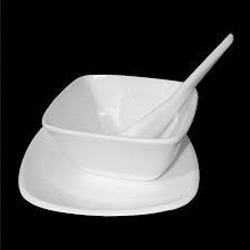 Our supplied acrylic rice bowl is light weight and durable. The offered acrylic rice bowl is easily available at very affordable market rates. Our company is well known in the industry as a promising organization, engaged in offering a distinguished range of Stylish Acrylic Catering Bowls. Our offered product is manufactured using fine grade raw material by our adept professionals. 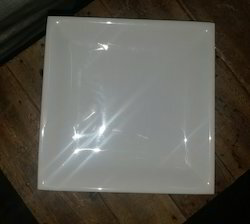 Pioneers in the industry, we are offering an excellent range of Acrylic Square Bowl. Our offered bowl is designed as per the ongoing market trends with the aid of advanced technology under the guidance of our skilled professionals. Further, we check the entire array on various parameters set by the industry, before its final dispatch. 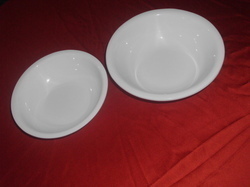 Moreover, clients can avail the offered bowl from us at market-leading prices. Our company is well known in the industry as a promising organization, engaged in offering a distinguished range of Acrylic Fruit Bowl. Our offered product is manufactured using fine grade raw material by our adept professionals. Acrylic Square Plate With Bowl is the perfect combination to serve many European dishes which come with very thick gravy. The acrylic used in making these dishes ensure that the gravy and the oil does not leave any stain on the plates and they last for a much longer time. Acrylic Soup Bowlsare highly acclaimed all across the world and is highly durable. We also offer customized solutions on the basis of various parameters such as color, polish, size, shape and designs. These are safe to be used in dishwasher as well as microwave. As a reputed firm, we are devotedly engaged in offering a broad spectrum of Acrylic Curry Bowl which is available in various sizes and colors. The offered Acrylic Curry Bowl set is precisely designed using latest technology and optimum quality basic material. Manufactured by our adroit professionals as per the set industry standards, this bowl set is widely demanded in homes to serve soup and other food items. Clients can avail them at affordable prices within the stipulated time frames. In order o cater to the changing and ever increasing demands and requirements of our customers, we have brought forth a distinctive and specialized array of Acrylic Bowl. Manufactured making uses of premium quality raw material and cutting edge technology and tolls, these products are extensively demanded in the industry. 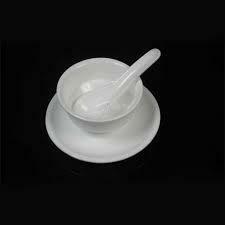 We provide these bowls to our patrons at highly economical prices. 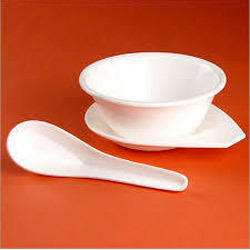 We are one of the well-known manufacturers and suppliers of Acrylic Soup Bowl Set. The offered acrylic soup bowl set is commonly used for serving soup. 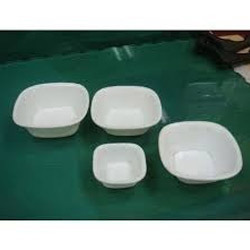 Our supplied acrylic soup bowl set is highly liked by the clients, owing to the accurate dimensions and durability. The offered acrylic soup bowl set is available at very competitive market price. Widely appreciated and acclaimed for their quality, our firm is engaged in offering a wide array of Acrylic Chatni Katori. 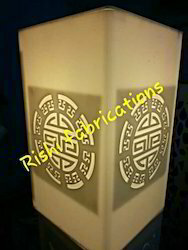 Professionals at vendors' end manufacture these products by making use of high grade raw material and cutting edge techniques in order to maintain their compliance with international standards. 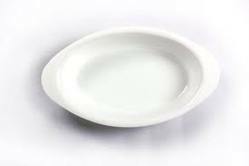 Our offered plates are designed and tested under the strict supervision of our experienced professionals possess expertise in their respective domain. These products are praised for their quality and attractive designs. Supported by a team of expert and experienced professionals, we are offering a range of Acrylic Conical Bowl, which is deep and spacious enough to serve fresh curd and other liquid food. Being highly utilizable, these bowls are and getting wider appreciation for features like resistant to scratch and cracks, smooth finishing and light weight. Further, this range comes within the reach of everyone due to its greater affordability. 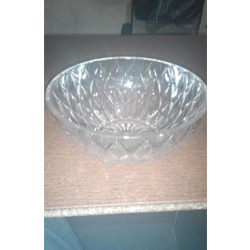 Acrylic Double Portion Bowl Being an eminent enterprise, we are instrumental in providing our clients a high quality range of Acrylic Double Portion Bowl . These crockery sets are highly demanded by customers for their simple design, sturdy construction and durability. Some of our Acrylic Crockery includes acrylic katori, acrylic soup cup, acrylic fruit bowl etc. We are dedicatedly engaged in offering a qualitative assortment of Acrylic Bowls to our valued clients. Our offered products are manufactured under strict guidelines in order to maintain their compliance with internationally set standards. The quality of our offered products is ensured by checking it thoroughly against various parameters. These products are available in varied sizes, colors, shapes and designs. We offer these products at market leading rates within the promised time - frame.